The Ghassan Aboud Group (GAG) is an international conglomerate with diversified interests across key industries including automotive, logistics, media, hospitality, real estate, retail and also bespoke catering. Established and headquartered in the United Arab Emirates for over 25 years, GAG’s business operations are spread across Asia-Pacific, Middle East, Europe and Africa. 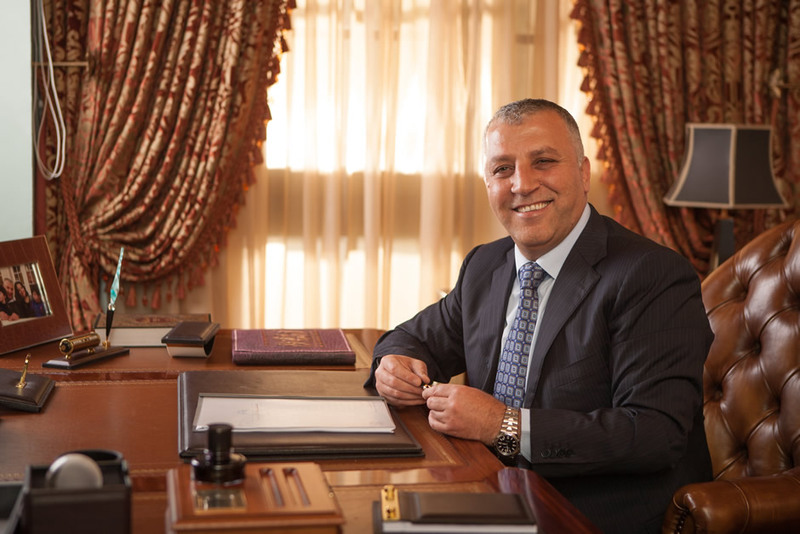 Founded by entrepreneur and philanthropist Ghassan Aboud, the group has evolved from its initial beginnings in automotive trading to become one of the most respected multi-line businesses internationally. GAG’s automotive division is a market leader in automotive supply-chain serving over 100 countries across the world. With its global hub in the UAE (including infrastructure in KIZAD, Abu Dhabi, and Dubai), and additional hubs in Belgium and Jordan, the company is a major enabler of automotive trade with state-of-the-art infrastructure for sales, storage, logistics and transportation. In Australia, GAG is now developing a substantial portfolio of luxury hotels, lifestyle destinations and unique experiences. The company’s investments are being deployed in the acquisition, development and management of prime hospitality, tourism and related assets through the Crystalbrook Collection. The group also now has a media business, which includes a fully equipped television production facility and a satellite channel. The companies offer creative solutions across a range of audiovisual production needs, digital and broadcast news services with varied programming, as well as media and broadcast training services. In real estate, the group is developing high-quality lifestyle offerings and self-sustaining communities in the UAE. The real estate projects created by GAG offer premium design and finishes at affordable rates. On the food and retail front, the group is rolling out a premium retail offering in the UAE, aimed at delivering high-quality and affordable retail freshness. Furthermore, a bespoke catering facility has been commissioned to offer an eclectic range of nutritious and delicious mealtime solutions for retail, corporate and private catering needs. The Ghassan Aboud Group believes that productivity, innovation and transformation require community engagement. As a corporate citizen, the company is deeply engaged in various community initiatives in the Middle East and beyond. Headed by one of the most unassuming business leaders in the Arab region, the company’s humanitarian program reflects Ghassan Aboud’s vision for fair access to learning and opportunity. Through its aid and assistance programme, GAG has been one of the leading supporters of rehabilitation and relief efforts for refugees. It helps distribute medical supplies, establish hospitals and supply educational materials and vocational training facilities. A company focused on collective value creation and stakeholder-based growth model, GAG’s vision for the future is represented in the group motto: Building a better future… together.